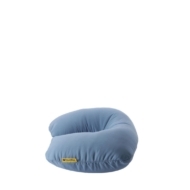 Inside, you have a combination of the inflatable part and an additional layer of luxury soft synthetic down. 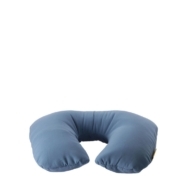 In order to enjoy the neck pillow more, please inflate it up to 3/4 of the air capacity only. The pillow cover is hand-washable in lukewarm water and delicate washing detergents, for extended use.